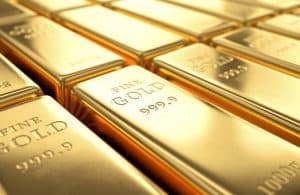 Precious metals, like gold and silver, are classified as commodities. The United States Commodity Futures Trading Commission (CFTC) is the federal agency that regulates commodity markets. The agency has issued an advisory regarding the fraudulent activities surrounding precious metal investments. The advisory warns of “tricky promises of easy profits,” and provides potential investors with warning signs that likely indicate fraud. As security fraud lawyers, the attorneys of The Frankowski Firm advocate for parties injured by investment schemes. We pass on this information in hopes that it will prevent our clients from becoming victims of these financially devastating frauds. A precious metal scam generally begins with an aggressive sales pitch. The individual may present themselves as a merchant of precious metals and attempt to entice you with promises of quick wealth. They may employ tricks, like name dropping or offering to cut their commission, in order to gain your trust. A fraudulent merchant uses high-pressure tactics to secure your purchase. For example, he may represent that the metals are in limited supply, necessitating quick action. Charging the buyer phony interest. Charging storage fees, though storage facilities are not being utilized. Lack of disclosure about the potential need to eventually pay full price for “discounted” metals. Payment of exorbitant commission to themselves, essentially using all or most of the buyer’s funds. Failure to meet profit promises and the loss of the buyer’s investment. While some victims do not realize that they have been scammed until their money is gone, there are signs that can raise suspicion early in the sales process. For example, the merchant may not be able to tell you the exact physical location of the metals you are purchasing. Agreements that include an overseas storage arrangement also signal a problem. Beware of “spam-like” calls or emails from someone claiming to be a precious metal broker or merchant. Ask the merchant to provide you with documentation of registration and qualifications. For transactions involving loans, ensure that the merchant provides you with the name and complete contact information for the lending institution. Visit the National Futures Association website to check the company’s registration status and review any disciplinary history. Ask the financial professional to explain his or her pay structure and exactly how payment for services is received.